Steven (Chicagoland, United States) on 12 June 2012 in Art & Design and Portfolio. Mosaic fountain spotted in Horticulture Hall of the Garfield Park Conservatory. Almost impossible to believe !! Superb image. 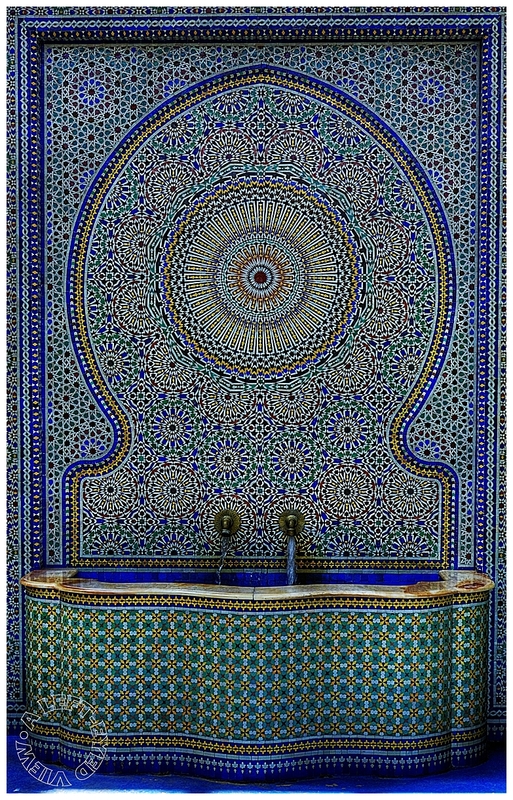 There are lots of similar fountains in Morocco. Love it! A neat shot from a perfect place . Wow, what an incredible piece of work, and it makes for a beautiful shot, Steven. Excellent framing! Great shot - the intricate detail is amazing with your beautiful framing. What incredible detail in the design of this mosaic. A great shot of it! Wonderful detail of this mosaic nicely frame. Tremendous detail coming through your lens, bouncing all over my screen (especially when I scroll!)... gorgeous workmanship on this! Holy Moly! Fantastic clarity here, Steven! Beautifully done sir! Very beautiful and decorative ... fantastic colors and frame! brilliant example of (neo-)iranian art ... perfect workmanship, wonderful patterns and colours! A stunning image. It looks like something we would se in the Middle East. Absolutely beautiful! The colors are exquisite. I can only imagine the amount of time and work that went into this. Wow, this is so cool - the details (and excellent crop) are amazing!! Nice to see both. The close up in two days, and this one in perspective. Very nice fountain. Extremely precise framing.